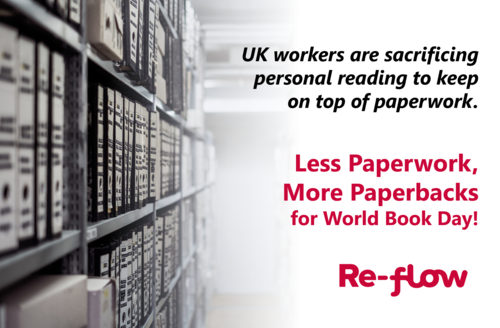 Re-flow research conducted by YouGov shows UK workers sacrifice personal reading to keep on top of paperwork. 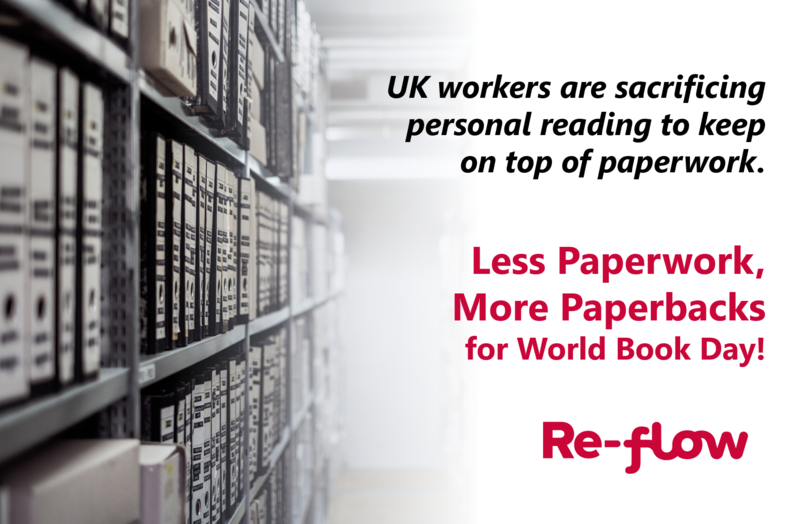 While schools across the UK and Ireland are celebrating World Book Day on the 7th March, adults in employment are having their enjoyment of reading stifled by paperwork burdens at work. If UK companies were more considerate about what information they are obliging their employees to read, workers would feel more inclined to read things for their own enjoyment. •	21% of UK workers spend more than 7 hours a month reading paperwork. •	17% of UK workers feel that they are often reading irrelevant information in paperwork. •	12% of UK workers don’t feel like reading things they enjoy because they already have to read so much at work. Across the regions of the UK, there is a consistent percentage of people who say they don’t read things like books, magazines or poetry specifically because of the amount they already have to read at work. This regional rundown shows where form fatigue is taking its toll. Reading for personal enjoyment is also more likely to be overlooked by younger workers due to the amount they are having to read at work, but as we get older, we are less inclined to feel that we have to sacrifice reading things we enjoy. With 16% of 18-34 year old workers getting out of the habit of reading for enjoyment due to the reading requirements placed on them in the workplace, we are in danger of setting a lifelong habit of ignoring reading for fun. Re-flow is a workflow information management system that brings paper processes online and creates dynamic forms that changes the information being displayed based on the readers current circumstances. This eliminates irrelevant information being shown and saves hours of wasted time. *Annual figures calculated from YouGov’s monthly figures. A working week is defined as 37.5 hours. All figures, unless otherwise stated, are from YouGov Plc. Total sample size was 4172 adults of which 2307 were workers. Fieldwork was undertaken between 5th - 7th February 2019. The survey was carried out online. The figures have been weighted and are representative of all UK adults (aged 18+). This press release was distributed by ResponseSource Press Release Wire on behalf of Re-Flow in the following categories: Entertainment & Arts, Leisure & Hobbies, Business & Finance, for more information visit https://pressreleasewire.responsesource.com/about.